The design of this outstanding ring is ageless and graceful. 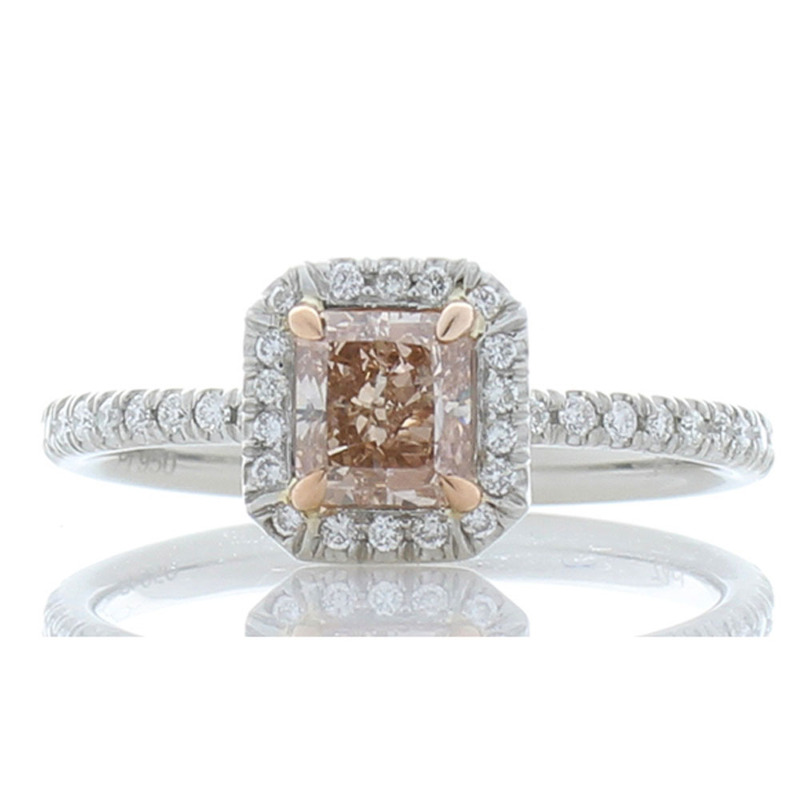 It features an enchanting GIA certified 0.74 carat natural fancy pink-brown radiant cut diamond center. The diamond is from Australia. Its attractiveness is enhanced by a sparkling halo of bright white diamond melee that surround the center stone and are set into the high polished mounting. The total weight of the accent diamonds is 0.56 carat. The ring is fashioned of platinum and will be adored for generations to come.